It's not too obvious that I copied those pictures from Amazon, is it? No? Good. Although I have a Kindle, I'm on a paper-book reading kick right now and these three are on my night stand. I first read about Bringing Up Bebe in an article on bonappetit.com. The author interviewed Pamela Druckerman and several renowned chefs on their children's eating habits and Pamela's statements about how French children eat stayed with me and made me want to learn more. I'm about two-and-a-half chapters into the book and I'm really enjoying it. 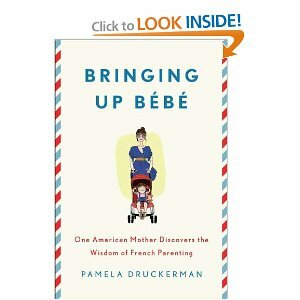 She's drawn some very good contrasts between how Americans and French both prepare to parent and how they view their roles as parents. So far, I'm patting myself on the back because D and I seem to be more like the French parents she discusses. I'm sure a large part of that is because of where we live. Kwaj, being both an island and a military base, is very secure, very quiet, and very removed from a lot of the things that parents living in the US have to worry about. Life is a lot more hassle-free here as well. We're not driving Sky to gymnastics or ballet or taking Fire to any baby classes because they're just not available. We have a lot more time to just "be" here, and I think that makes us calmer parents. 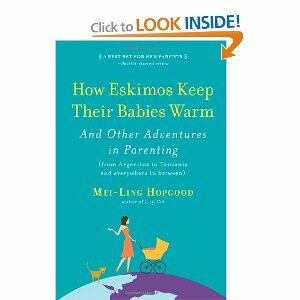 I'm really looking forward to reading Mei-Ling Hopgood's How Eskimos Keep Their Babies Warm. From the cover, it looks like it might be a survey of parenting styles around the world. I was hoping for more of a travelogue (one of my favorite kinds of books) about traveling with children but since I haven't read it yet, I'll just have to wait and see. 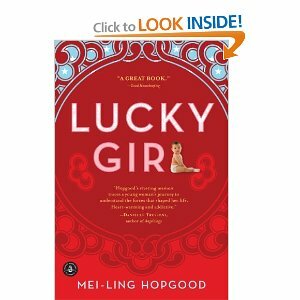 The third book is also by Mei-Ling Hopgood- thank you very much, Amazon.com recommendations. It's the story of the author's life as an adopted child and her rediscovery of her birth family, and the good and bad that come with that. The thing that really caught my eye about this book was the statement on the back: "...and they wanted her back." In traditional Marshallese adoptions, children are returned to their birth families after a time and before the adoption reform here, that was one of the promises that shady adoption dealers made to birth mothers, that their child would be educated in the US and then come back to take care of them. It'll be interesting to read about the author's experiences and how she dealt with them. I'm also interested in reading an adult adoptee's views on her birth family and the family she was adopted into. I'll try and remember to post more about these as I finish them. What are you reading now? Anything good?